Experience the magic of Thredbo’s alpine area by foot with one of our experienced guides. There is a variety of guided walks available. 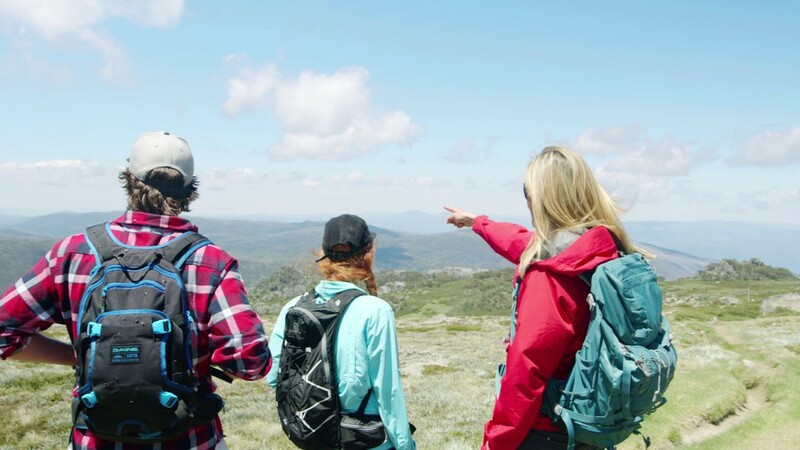 Guests can chose from the moderately paced family oriented hikes, like the Kosciuszko Summit Hike, to hikes that take you through the high, windswept regions among the tallest peaks in the country; such as the Townsend Hike. There is no better way to get to know our high country, with its beautiful wild flowers, unique landscapes and stunning, rugged peaks than to get amongst them with a knowledgeable guide leading the way. 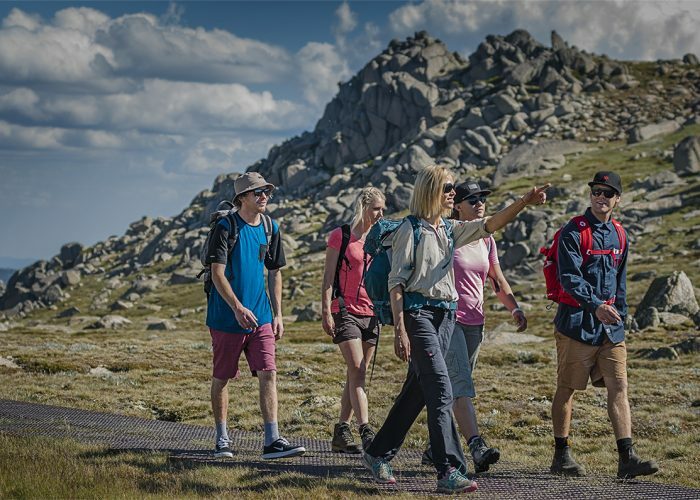 Thredbo’s Guided Hikes boast one of the most passionate group of guides, who know Thredbo and the Australian Main Range like the back of their hand. Spending lots of time in the outdoors, our hikes team have extensive knowledge of the high country and it’s surroundings. 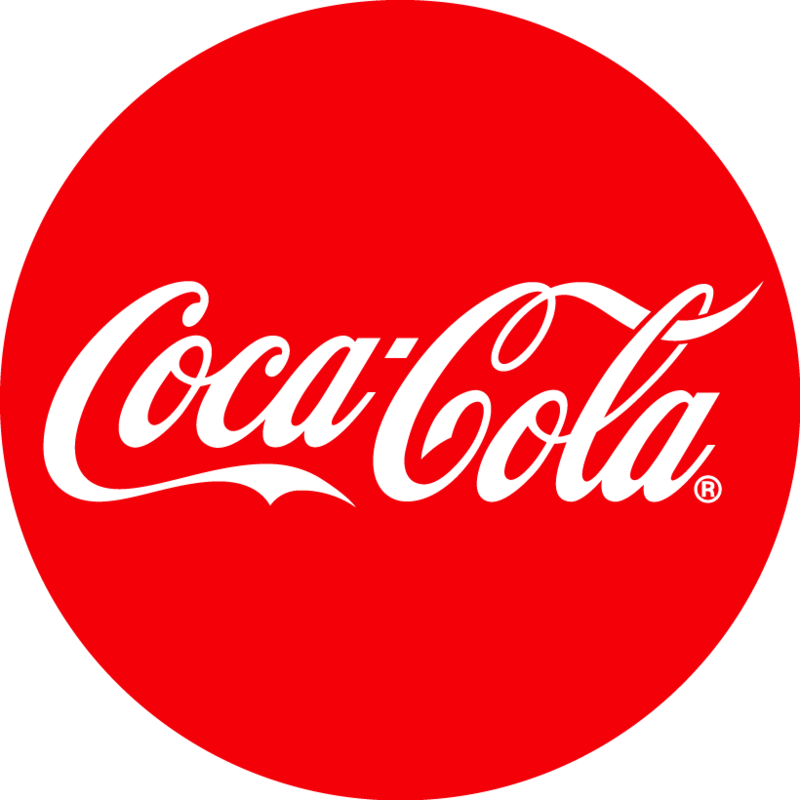 When: Thursday’s and Saturday’s throughout the season 17th of Nov to 28th of April; Sundays and Tuesday during the period of Dec 30th- Jan 27th and over the Easter Holidays. Make the pilgrimage that every Australian and visitor to this great land should. Gain perspective from the highest point in the country, enjoying sweeping views into Victoria and along the Main Range. Breathe the sweet mountain air while you enjoy all that Mother Nature has to offer. 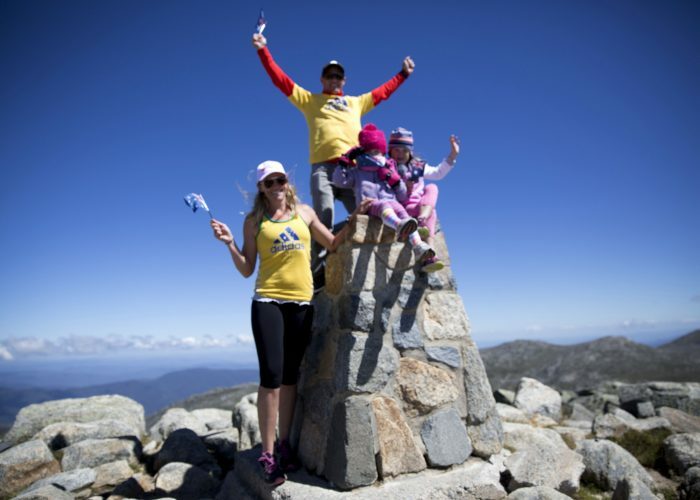 Do it for the first time, or make it a tradition; this is a wonderful way to introduce you and your family to the Australian Alps. This is the highest and largest piece of Alpine in Australia, home to 21 endemic species and many more rare and beautiful flowers. Take a stroll out on the rooftop of this beautiful land. This is an iconic hike that promises stunning views of the mountains, beautiful unique flora and a complete sense of awe in what Mother Nature has created. From start to finish, this is a wonderful mountain experience. It is 19 km of moderate to strenuous hiking but is quite achievable for a reasonable level of fitness. You will be hiking some of the highest peaks and seeing some of the most rugged mountainous terrain Australia has to offer, not to mention the highest glacial lakes in the country. Your experienced and knowledgeable guide will lead you through an informative journey of stunning views, windswept peaks, historical facts and unique features along the way. 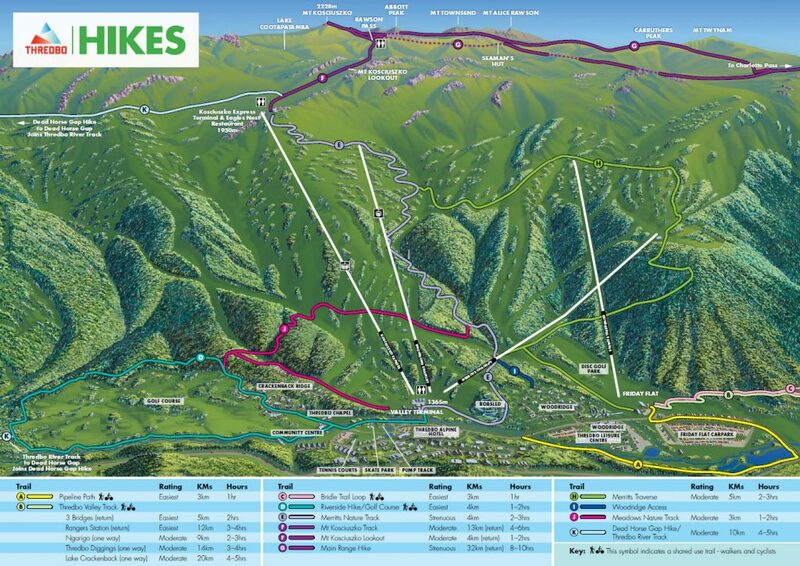 PLEASE NOTE: This is an all-day hike with strenuous uphill sections. This is one of the best hikes in the area, it’s mostly downhill and the views are spectacular. From the top of the Kosciuszko Express Chairlift, you descend just over 300 vertical metres to Dead Horse Gap. There is an abundance of wildflowers and the twisted Snowgums are incredible. 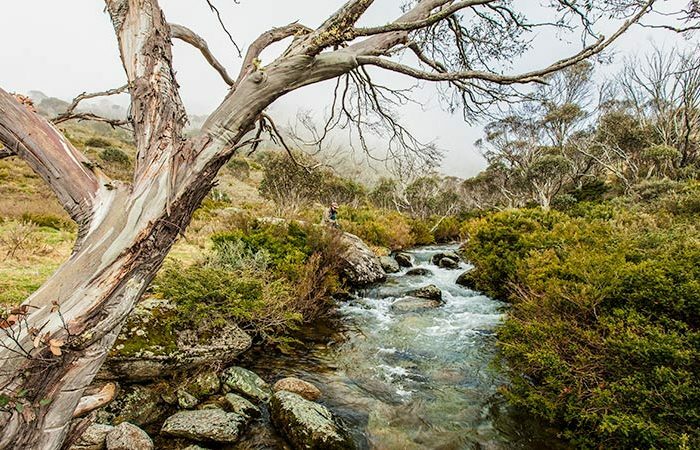 Once at Dead Horse Gap you make your way back to Thredbo along the beautiful Thredbo River. Climb Australia’s second highest peak Mt Townsend, at only 19m shorter at 2209m but most would say more spectacular in its entirety. You’ll take in the majestic views of the alpine area and into the Victorian High Country. From the top you look down onto glacial lakes and the dramatic western faces of the Main Range. The hike meanders through remote ridges and jumbled granite boulders. This 22km hike will enlighten your senses creating everlasting memories. 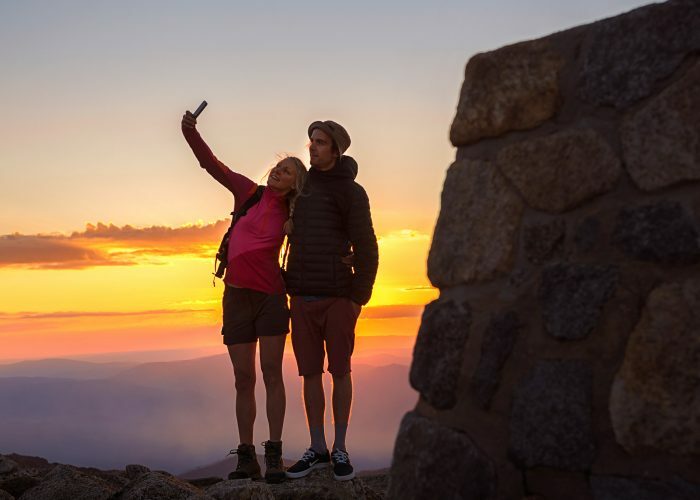 Sunset to stargaze, there is lots to love about sunsets but nothing beats standing on Australia’s highest peak watching the last rays of the day race across the High Country, as the sun slowly sinks to the west. 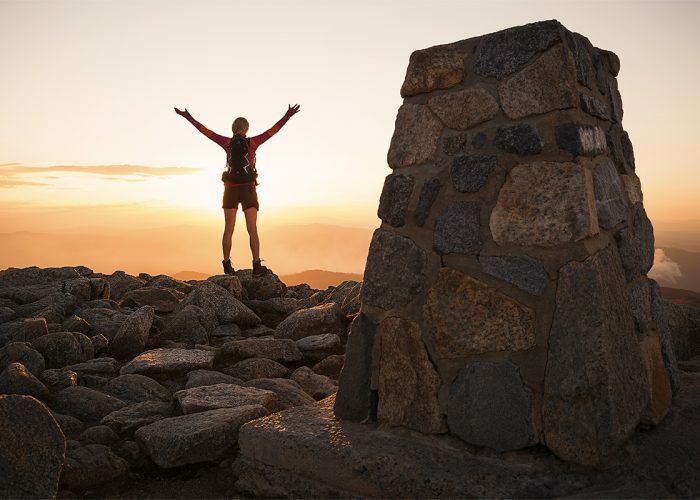 The Kosciuszko Sunset Guided Hike sees small groups watch the spectacular sunset, then with headlamps on, head back to Thredbo under the Milky Way. Bring a friend or the love of your life, this hike is certainly one to remember. Want to go for a hike on a day that one of our scheduled hikes is not operating? 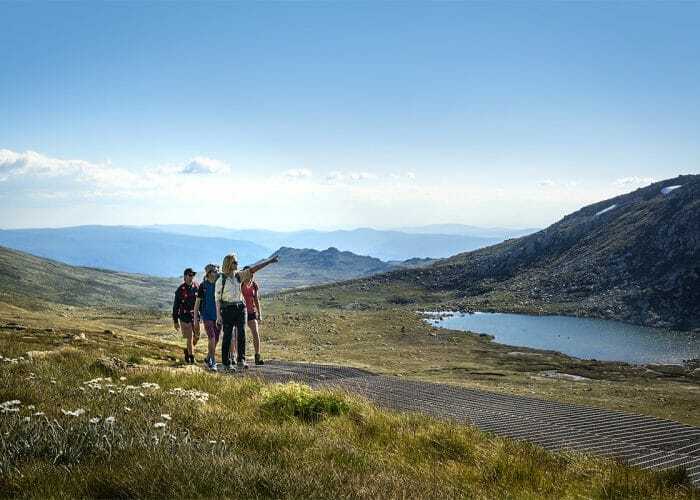 Thredbo Guided Hikes can organise a private hike for you and your friends. Private Guided Hikes are staff dependant. We recommend organising at least a week out from your intended hike date. Cost is based on 4 participants at normal hike rates. Above 4 participants, guests will be charged the normal hike rates. When: On Demand. Private Guided Hikes must be booked 7 days in advance. Inclusions: Will be arranged on a hike by hike basis determined by guest and Supervisor correspondence. The inclusions will be based on a regular hikes program. Highlights: 360-degree alpine views, poetry reading and sausage sizzle. Australia Day from the top of the country! Are you looking for an exciting way to spend the Nation’s day with your family? Whether it is your first time or a tradition in the making… Look no further! Come to the top of the country and celebrate! With kites to fly for the kids, a sausage sizzle, poetry reading, delicious Lamingtons and a crew of patriotic adventurers, this is a great opportunity to take in Australia from a unique perspective. This promises to be a great day for all. Highlights: Kosciuszko sunset, Witness the rise of the full moon. From Australia’s highest peak we catch the sun dip below the horizon, making way for the full moon to rise above the stunning Main Range. 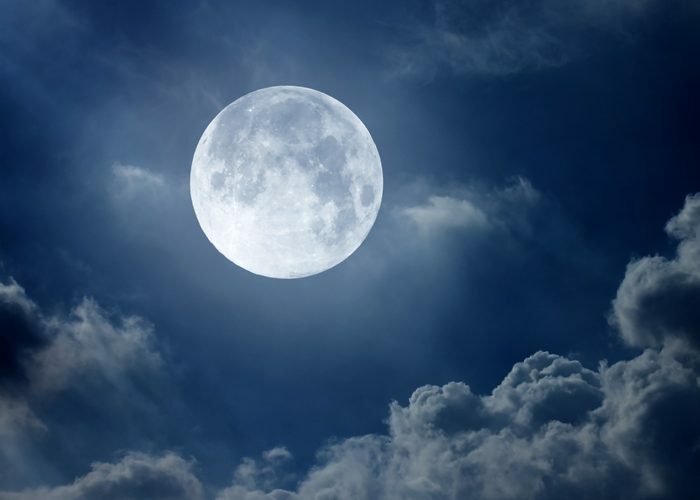 As we watch the alpine landscape slip from day to night, we return to Thredbo under the stars and the bright glowing orb of the full moon. 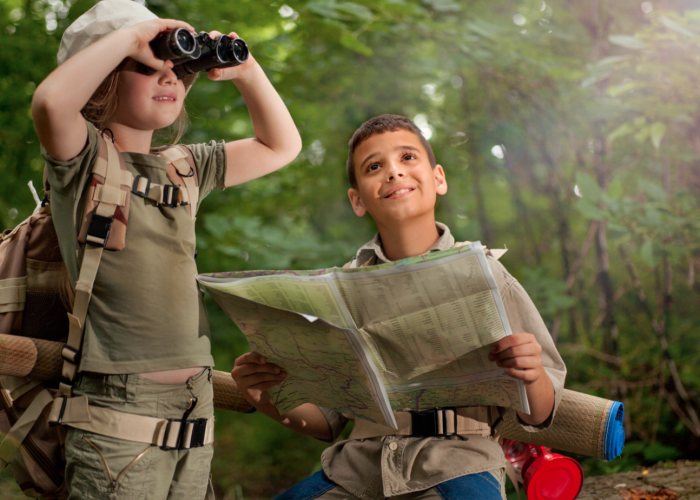 Night walks, scavenger hunts, team games, arts and crafts, trampolining, themed nights, tree planting and much, much more. 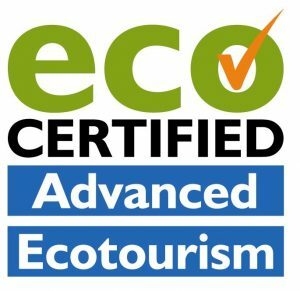 All Thredbo guided summer activities conducted in Kosciuszko National Park are accredited with Ecotourism Australia at the Advanced Ecotourism level. 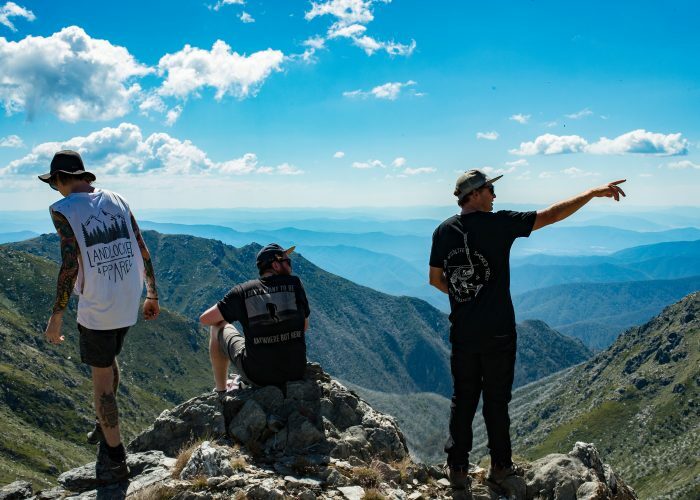 This reinforces our commitment to using sustainable practices, and that Kosciuszko Thredbo – summer activities is committed to minimising climate change impacts from conducting these activities. 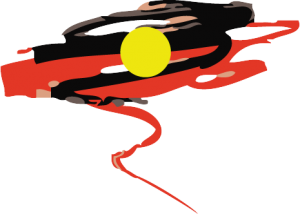 We recognise the Ngarigo People as the Traditional Custodians of this land. We would like to acknowledge and pay respect to the Elders past and present and their traditions and culture.